I adore patriotic decorations! There is just something about the stars and stripes that makes me so happy. I truly am so proud to be an American. 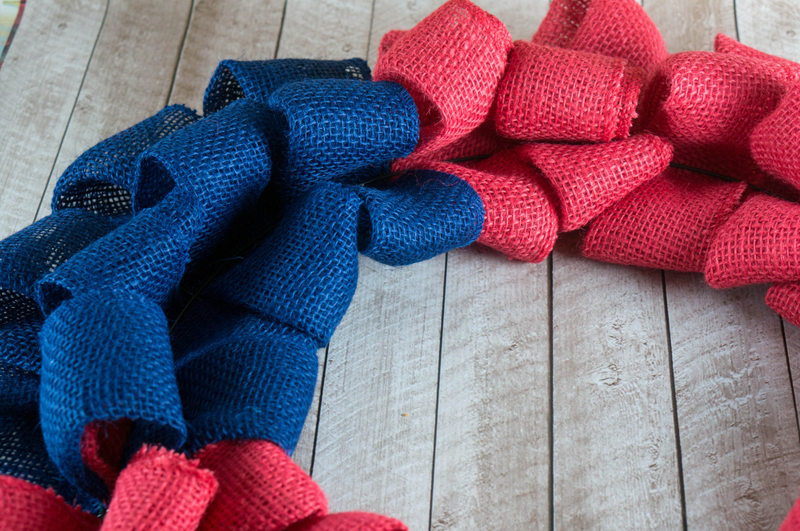 I went walking down the craft aisle at my local Walmart looking for supplies for a totally unrelated project and saw these gorgeous deep red and blue burlap rolls and was inspired right then and there that I needed a 4th of July Flag wreath! I’m so glad, too, because I absolutely love the way it turned out! I started the wreath using the basic burlap wreath tutorial Meagan shared earlier this year in her DIY Burlap Wreath post. If you need more guidance on how to thread the burlap, head over to see her post. Here’s her step-by-step pictures, again though. 1. Start by folding your burlap in half width wise and then fold over the end about 4″. Feed the folded edge into the outer ring of your wreath frame. 2. Fluff and shape your layer. 3. 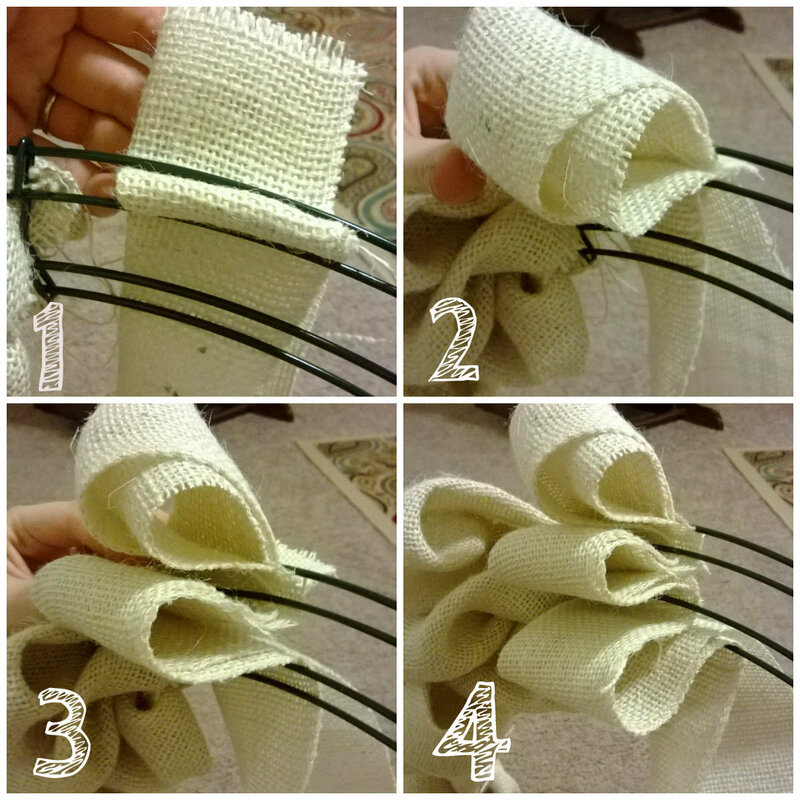 Repeat folding from your remaining burlap and threading it through the second ring on the wreath frame. 4. Repeat again for the third ring of the frame. You’ll repeat this process using the red burlap all the way around 3/4 of your wreath frame. The frames are sectioned off in fourths, so it’s easy to see where you need to stop and switch to blue. Cut off any remaining burlap and thread the end tail back through a previous part of the frame to secure. Continue pushing and pulling your burlap through with the blue burlap as well until your frame is full. Cut off the burlap when you have finished your blue section and tuck the tail as well back through the frame to secure. Next, it’s time to spray paint. 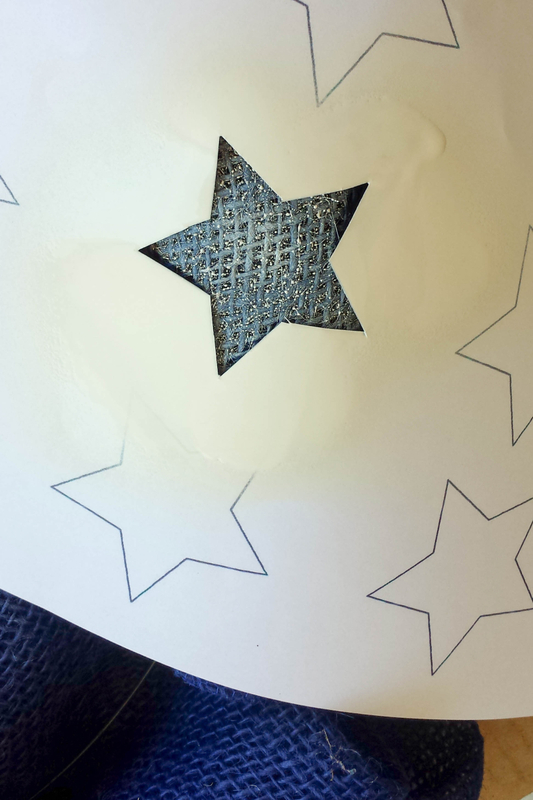 I just printed out a star stencil on plain white printer paper. If I were to do it again, I would use a piece of cardstock if you have some available. You could also use a plastic star stencil you purchase separately, but I wasn’t able to find one at my store. Cut out the center of a few, or all, of the stars. I printed two pages and just kept using the two center stars over and over between the two printed pages. Do what works best for you. Spray paint on your stars doing one star per layer of burlap. I did one row of four stars at a time and then let them dry for 5-10 minutes and came back to do the next two rows. **Note, My hands were a victim to the spray paint, holding the paper in place. You may want a pair of gloves or angle cardboard to protect you while still holding your stencil just where you want it. When your stars are dry, fold your ivory or white burlap and wrap it around your red burlap starting at the top right wrapping from right to left across the top so that when you get to the bottom stripe, that goes the full width of the wreath, the end is facing the right direction. When you get to the back side, thread the burlap through the wire frame to secure your stripes to your wreath. Then, continue onto your next stripe. Make 4-6 stripes across your red burlap only, lining up your stripes to follow a straight horizontal line. You’ll also want to watch to make sure your stripes line up across the side of the wreath as if they were continuing across the wreath. Here’s a close-up view of the completed flag wreath! 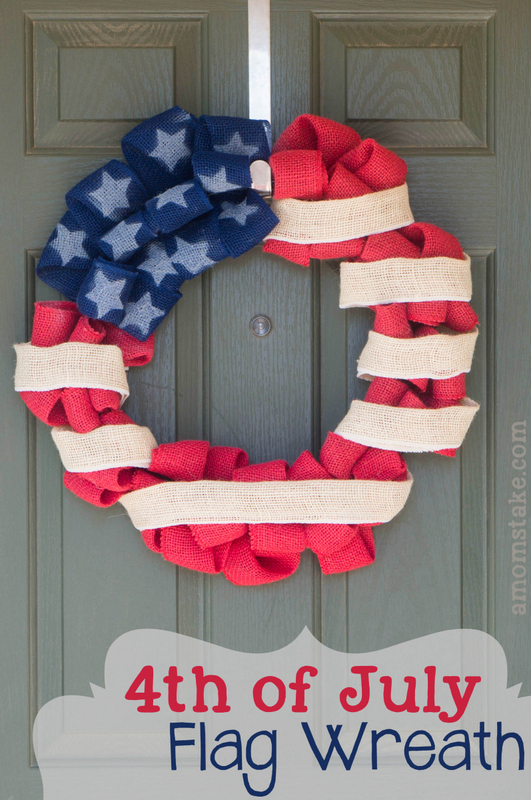 This flag wreath is perfect to hang before Memorial Day (which is always the last Monday in May). Keep it up through Flag Day (June 14th) and on through your 4th of July celebrations! 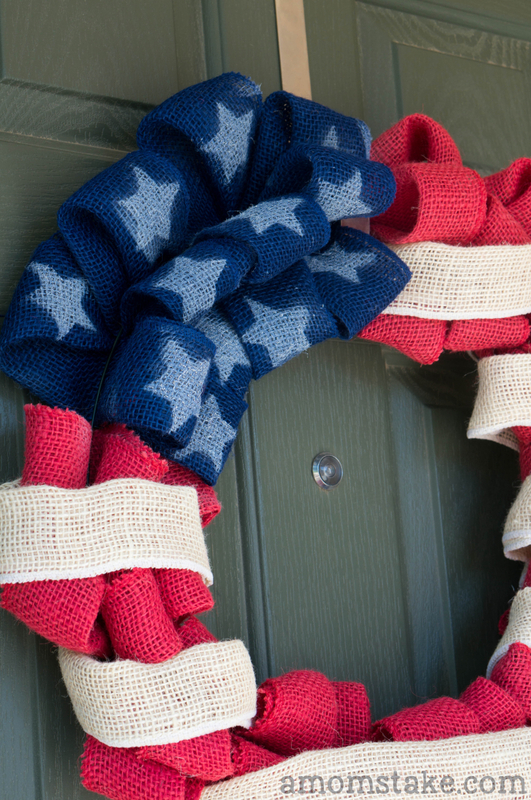 You can also pull out this wreath to hang for other patriotic holidays like Veterans Day or Election Day! How do you show your patriotic pride? I just popped by to say thanks for joining the Say G’Day Saturday linky party. Hope you can join us again this weekend. I love how your wreath turned out. I may actually try to use some burlap this holiday. Thank you so much for linking it up to Dare to Share. Your post has been chosen as a Dare to Share Feature of the Day. Thanks so much for stopping by The Wednesday Roundup Link Party! This wreath is absolutely beautiful!! 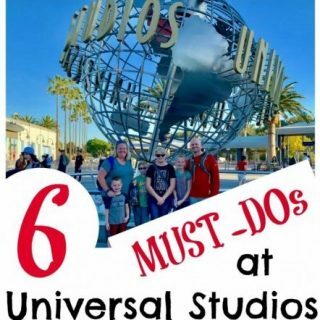 Congrats on being on of our featured picks! This is now pinned onto our link up Pinterest Board! Hope to see you again next week! Congrats on an amazing looking wreath! We are featuring it on The Wednesday Roundup! Be sure to come back today to see what else is going on and join in the fun. So cute! Pinned! Thanks for being a part of our party. Please join us tonight at 7 pm. We love having you! 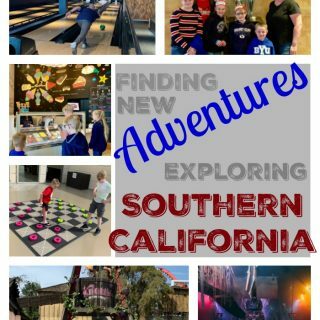 Yay, thank you so much for your share and feature!! This wreath looks so easy to create. Thanks for sharing it on #theWeekendSocial. Please come back and visit next week. We start again Thursday 9:00 PM EST. Hope to see you there. I’m off to pin your link! This wreath is absolutely gorgeous!! 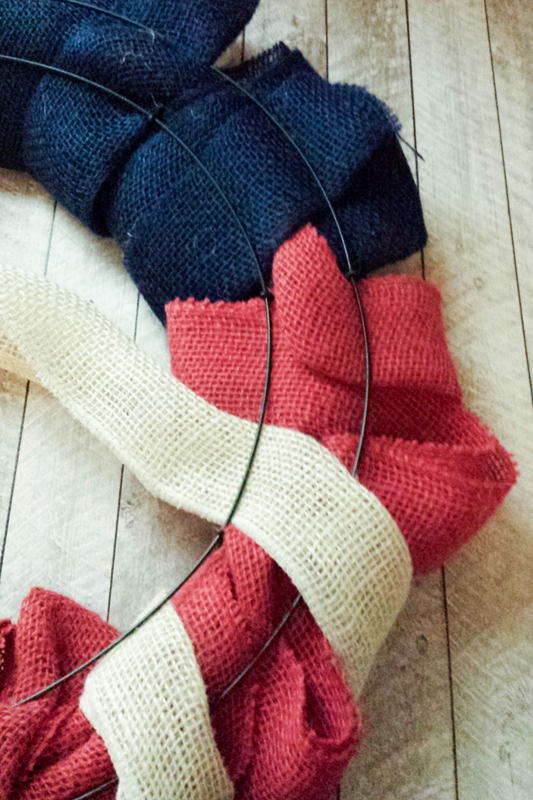 I wasn’t planning on making a July 4th wreath this year but you make this look so easy! 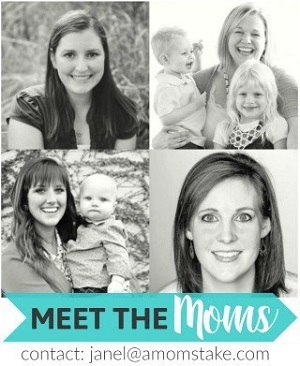 I would love it if you linked this up to my Motivate Me Monday linky party! Great wreath! I made one kind of like this back during the Olympics with the decor mesh in patriotic colors. Super cute! Have a great weekend. Love it! What a creative way to make a wreath. I’ve just gotten into making my own burlap wreaths. I absolutely love how fun and festive this flag wreath is. I appreciate the feature! Thanks for the pin, too. What a great tutorial! 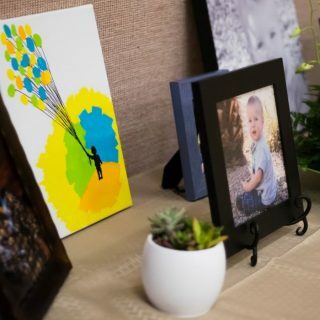 I have never been able to figure out how to do these like this, so I love your easy tutorial with pictures! I would love it if you linked up with us this week! Wanted to let you know I just featured your delicious recipe. Thanks for linking up to the Wonderful Wednesday Blog Hop today! Love it! Don’t forget to link it up to the Feature Friday Link Party! Cute wreath! I love how you created the “stripes,” and the painted stars. I’m pinning this to my Patriotic Pins board. Love it! Pinned to my Patriotic board. Love how this wreath looks so fluffy. Great look and tutorial. Pinned. G’Day from Oz! What a gorgeous wreath, Janel! I’m pinning it to my wreath board right now. If you have a minute to spare I would be so thrilled if you could share this at my weekly Say G’day Saturday linky party! This would be such a wonderful addition. So cute!! !Where did you get the ribbon from I’m having a hard time finding the navy burlap ribbon. Thanks! I found it at Walmart. I bought all the supplies at Walmart except the cream burlap, which I got at Michael’s. I tried a white satin ribbon first and I just didn’t like it, so thus why it’s from a different store. I didn’t notice any cream burlap at my Walmart, though. Hope you can find some! Super cute project! I never knew that the wreath forms were so affordable! I LOVE this!! It’s beautiful! WOW, that is so BEAUTIFUL!!! I love the stars, looks rustic. That is so pretty. I love how easy it is to make. Awesome tutorial! The wreath looks great! This is by far my favorite 4th of July wreath! Thanks, I also sent this pin to my sister, she will be making them for sure. So glad you love it! It’s even cuter in person so she will love how it turns out. Cute wreath! Looks so complicated, I would have never guessed it was this simple to make! This would be an fun project and I know it would look great on the front door. Oooo this is so cute! I show my patriotism by voting! That looks awesome! Where do you get the wire frame? I got mine at Walmart. Craft stores carry them as well. They are only like $3. absolutely beautiful!! I would love to make one of these! Very pretty wreath. You have a very creative mind. I am jealous. I Love this! It turned out great, Very creative! I ithink that a lot of wreaths are just “ok” but this one is super cute and I cant wait to make it!! That is gorgeous and looks pretty easy to make! Might have to do this! I pinned this. 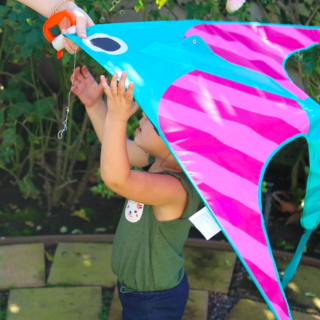 It’s so cute that I really want to make it! I always make my own wreaths for holidays, but lately I’ve been slacking off. This one is really cute! This is so nice and totally my primitive style!! I would love to make one! Now that is super cute! I have seen those wire wreaths around and never had a clue what I would do with them. This is awesome! Now I Know! That came out awesome!! It’s very festive and I have the perfect spot to hang it, too! Your Fourth of July wreath came out SO PRETTY! I love how rustic and homey it is!